House Physician to Professor Alan Thompson. House Surgeon to Professor A. McConnell and Mr. P.C. Carey. Senior House Officer in Medicine to Dr. B. McEntee. Paediatric House Officer to Professor E. Doyle and Dr. P. MacClancy. Senior House Officer to Dr. B. Herlihy and Dr. E. O’Connor. Cherry Orchard Fever Hospital, Dublin. Junior Partner, General Practice, National Health Service. Medical Registrar to Professor M. Abrahamson. Attachment to Professor A. Thompson and Dr. R.D. Thornes. Medical Registrar to Dr. Alec Paton. Royal Post-graduate Medical School Hammersmith Hospital, London. Registrar in Cardiology to Dr. J. MacKinnon and Dr. S.P. Singh. Senior Registrar in Cardiology to Dr. E.G. Wade, Department of Cardiology. Our Lady’s Hospital, Navan, Co. Meath. 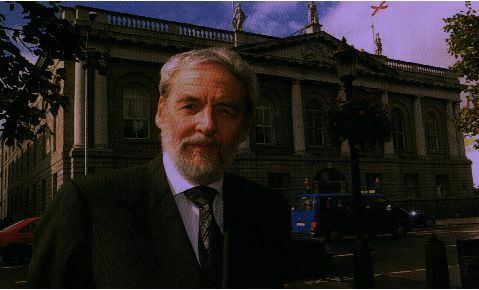 Editor, Journal of the Irish Colleges of Physicians and Surgeons. Royal College of Surgeons, Dublin. Clinical Supervisor of the Membership Examination. Royal College of Physicians of Ireland, Dublin. Locum Consultant Physician in Cardiology. Acting Professor of Pharmacology and Therapeutics. Royal College of Surgeons in Ireland, Dublin. James Connolly Memorial Hospital, Blanchardstown, Co. Dublin. The Charitable Infirmary, Jervis Street, Dublin. Visiting Consultant Physician, Dublin Skin and Cancer Hospital. Senior Clinical Teacher, Royal College of Surgeons. University College Dublin, Belfield, Dublin 4. Irish Heart Foundation, 4 Clyde Road, Ballsbridge, Dublin 4.